Beijing could adopt a divide-and-conquer strategy to polarize Canadian society ahead of the federal elections, writes J. Michael Cole. Although it has not stated this explicitly, Beijing in the past week appears to have taken additional retaliatory action against Canada over the detention of Huawei executive Meng Wanzhou in Vancouver last year. Following the sudden detention of two Canadian nationals on questionable espionage charges and the trumping-up of charges against another jailed Canadian appealing his sentence, the Chinese government is now believed to be weaponizing trade to ramp up the pressure on Ottawa to intervene politically in the Meng case. Beijing has blocked orders of canola seed from two Canadian sellers, Regina-based Viterra Inc. and Winnipeg-based Richardson International Ltd., on the claim that Chinese authorities have discovered dangerous pests in the products. The ban occurs mere weeks before farmers are expected to plant their seed for the season, with potentially disastrous financial consequences for the targeted firms should they be unable to sell their product to a market on which they have become increasingly reliant. By singling out the private sector, Beijing hopes to turn the inconvenience and financial harm caused to companies into groups that will lobby the government into abandoning a specific policy that is believed to be detrimental to China. When the government fails to change its policy – in this case, standing its ground in the Meng dispute – affected firms and local and regional economies will increasingly blame politics and the perceived obstinacy of their government for their misfortune. It will lead to temptations to support parties and candidates who advocate for a more conciliatory stance vis-à-vis China. The lesson is simple: Abide by Beijing’s wishes, with their concerns ranging from territorial disputes to differences on politics, and there will be plenty of money to be made through the lifting of bans and the promise of more purchases, and other inducements. Refuse to give in, and your economy will suffer. 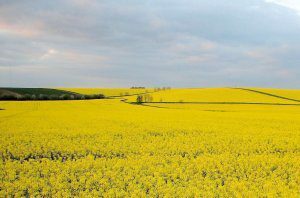 If the canola dispute isn’t resolved soon – and we can expect that it won’t – there is good reason to believe that Beijing will further escalate those efforts to take aim at something even more sacred than our economy: Canada’s October federal election. And why not? It’s worked before, in other parts of the world. In 2012, Beijing took aim at the Philippines – China is a huge market for produce from the country – by cancelling orders of bananas and restricting Chinese tourism amid an escalating territorial dispute in the South China Sea. Once it won its dispute over the Scarborough Shoal following concessions by President Rodrigo Duterte, Beijing lifted the ban and promised to ramp up orders of commercial crops. And in Taiwan, where I have lived for the past 13 years, I have witnessed first-hand Beijing’s repeated use of financial sticks-and-carrots and how that approach is used to affect electoral outcomes in the democratic island-nation. Taiwanese jurisdictions, such as the southern port city of Kaohsiung where the mayor takes a pro-Beijing stance, are often rewarded with the purchasing of agricultural products, tour groups and investment, while others are punished for being governed by critics of the Chinese ruling party. Taiwan is just one place where Beijing fuels regionalism by playing one province, city, or county off against others. Given this practice, it is not difficult to imagine that Beijing could adopt a similar divide-and-conquer strategy to polarize Canadian society ahead of the elections, rewarding candidates and provinces that adopt a more Beijing-friendly attitude while refusing to engage those who argue that Canada must continue to abide by the law and stay the course on the Meng issue. Should Beijing opt to ramp up its targeted economic retaliation against vulnerable sectors in the Canadian economy, it is perfectly conceivable that, ahead of October, we could see the emergence of a candidate who encourages Ottawa’s direct involvement in the Meng case by calling for her immediate release, as Beijing has requested. And while social media platforms like Facebook and Twitter have become targets of outrage in the wake of their reported use to interfere in elections and incite violence in places like Myanmar and Sri Lanka, Canada cannot ignore WeChat. The social media and messaging app has one billion Chinese-speaking users around the world, and a reputation for spreading fake news and censoring politically sensitive content. A large number of Chinese expatriates and Chinese-Canadians rely on the app, which was in the middle of the controversy around federal Liberal candidate Karen Wang’s efforts to mobilize Chinese-Canadians in Vancouver to vote for her rather than Jagmeet Singh in Burnaby South. The risk of interference can only grow, with Sino-Canadian relations at a nadir. And the ability to shape the discourse across Canada ahead of the elections later this year might just be too tantalizing an opportunity for Beijing to pass up. J. Michael Cole is a Taipei-based senior fellow with the Taiwan Studies Programme at the University of Nottingham, U.K., an associate researcher with the French Centre for Research on Contemporary China, and a senior fellow with the Global Taiwan Institute in Washington. He is a former analyst with the Canadian Security Intelligence Service in Ottawa. He is the author of the MLI paper The Hard Edge of Sharp Power: Understanding China’s Influence Operations Abroad.